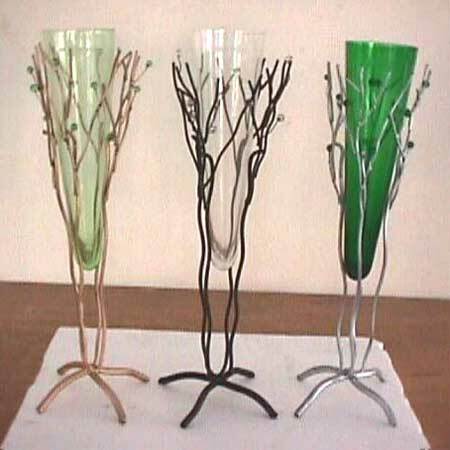 We are a leading Manufacturer of a quality-tested range of Iron Flower Vase in domestic and international arenas. The Iron Flower Vase offered by us is widely demanded by the clients, owing to its striking features like corrosion resistance, long lasting shine, and durability. Available in varied colors and sizes, these Flower Vases are specially painted and mounted over an iron stand.